Photo: People's Emergency Center, 2016 Project Stream grantee. Project Stream makes competitive grants up to $2,500 to individual artists, non-profit organizations and fiscally-sponsored organizations for innovative, community-based arts projects. Projects can include performances, exhibitions, readings or other arts projects in any genre, and must be open to the public. 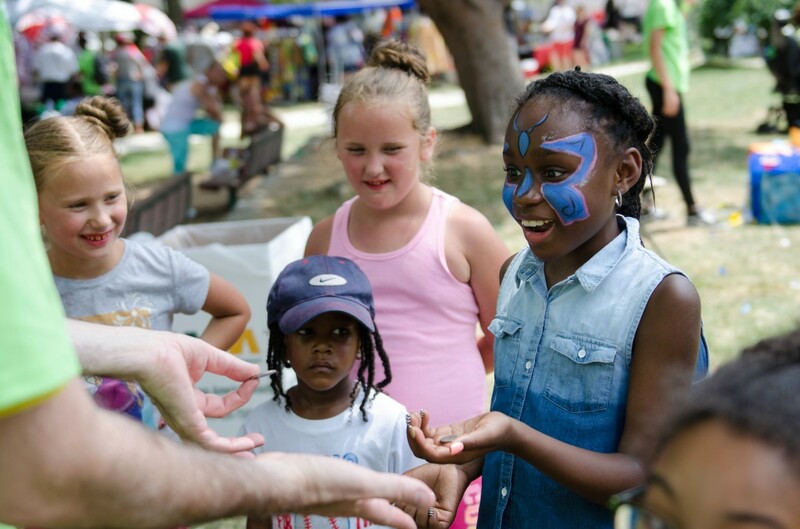 The Greater Philadelphia Cultural Alliance administers Project Stream in Bucks, Chester, Delaware, Montgomery and Philadelphia counties on behalf of the Pennsylvania Council on the Arts (PCA), as a regional partner of the Pennsylvania Partners in the Arts (PPA) program. Deadline: 2018-19 Project Stream applications are due by June 20, 2018. More information: View step-by-step instructions on how to complete the 2018-19 application. 2018 Project Stream applications are now closed. Information about 2019-20 Project Stream grants will be released in Spring 2019. For more information about Project Stream contact Allie Vanyur at grants@philaculture.org or 215-399-3524. Click here to view the 2018-2019 Project Stream Grantees. Click here to view the 2017-2018 Project Stream Grantees. Click here to view the 2016-2017 Project Stream Grantees. The Project Stream and Program Stream grants initiative is made possible through the Pennsylvania Partners in the Arts of the Pennsylvania Council on the Arts, a state agency. They are funded by the citizens of Pennsylvania through an annual legislative appropriation, and administered locally by the Greater Philadelphia Cultural Alliance. The Pennsylvania Council on the Arts is supported by the National Endowment for the Arts, a federal agency. You may know us for our Job Bank or research, but did you also know that we are a grantmaker, run Funsavers and have 25,000 teens enrolled in STAMP?